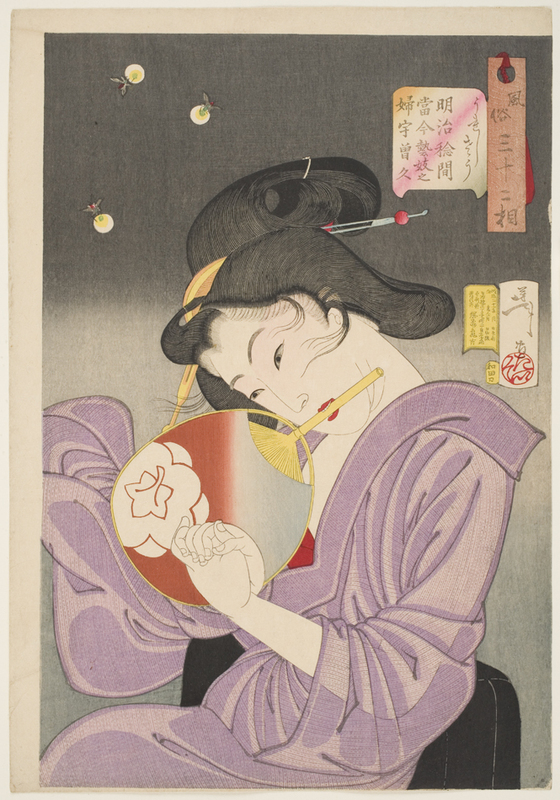 Tsukioka Yoshitoshi (1839-1892) is remembered as one of the greatest designers of the Japanese woodblock print at a time when the medium was facing increasing competition from photography and lithography. 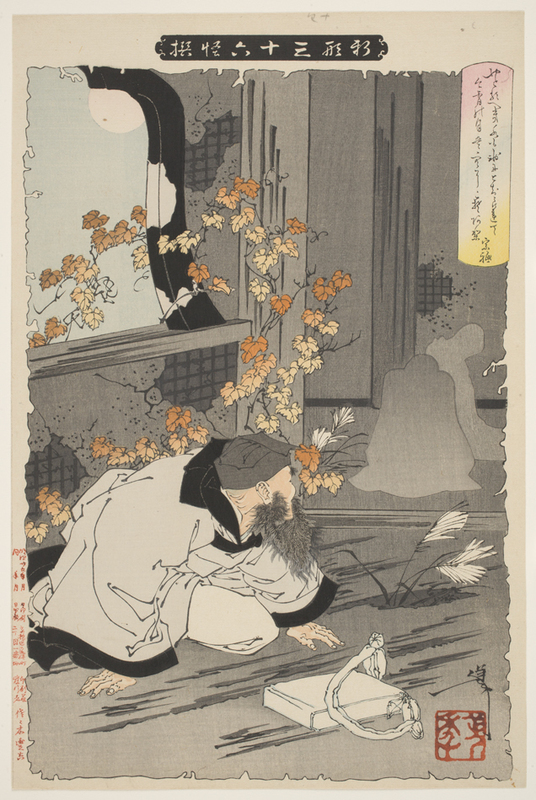 The artist’s tumultuous life and work mirrors one of the most transformative periods in Japanese history ­– the change from a feudal to a modern society emulating Western ways of government and social conduct. 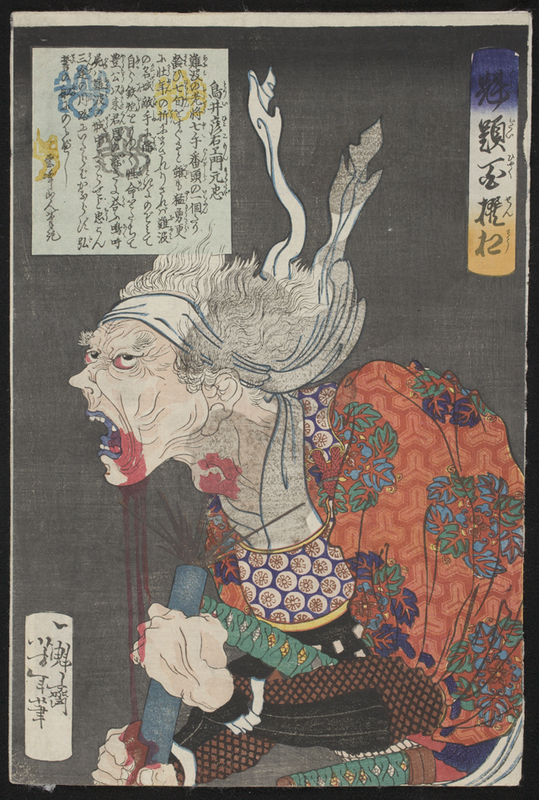 This exhibition will feature a variety of Yoshitoshi’s most appealing works – images of horror and cruelty, supernatural creatures, commanding acts of bravery by legendary figures from Japanese history, images of samurai, and sensitive portraits of contemporary women. 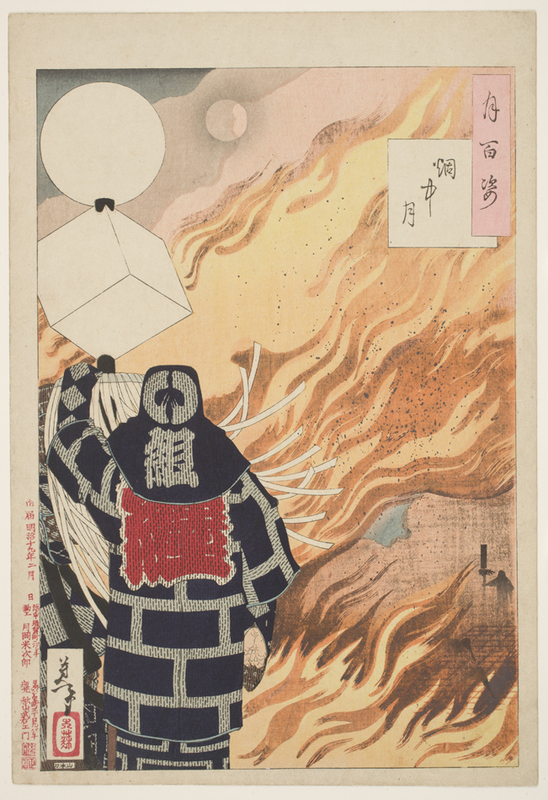 But it also proposes new ways of understanding his life and artistic trajectory, which became increasingly retrospective in his final decade, reinforcing this sense of Yoshitoshi as an artist living between two eras. 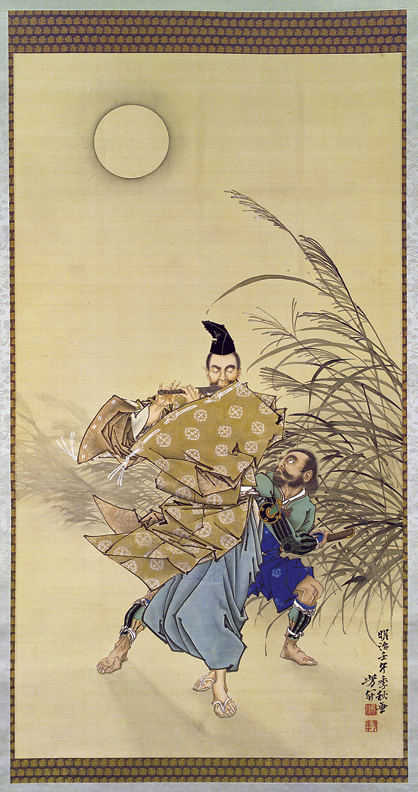 The exhibition will draw special attention to his masterpiece, the scroll painting Fujiwara no Yasumasa Playing the Flute by Moonlight (1882), one of the great works of Japanese art in the Worcester Art Museum, and indeed any American collection. This exhibition has been generously supported by the Agnes Scribner Fund. Composer Shirish Korde speaks about the different types of historical Japanese flutes and flutist Alice Jones performs. Filmed by WGBH Forum Network at the Thursday, May 21, 2015 Master Series event.